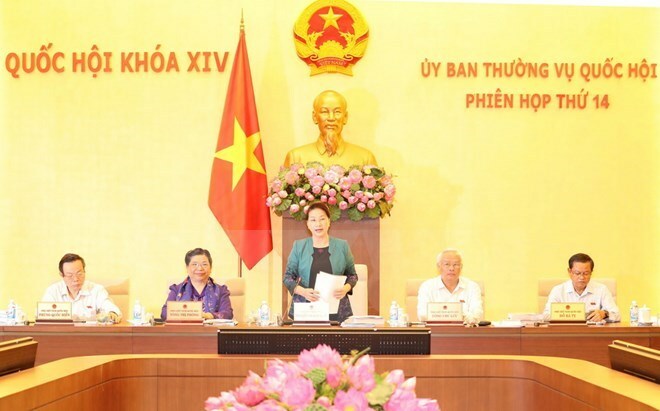 Hanoi (VNA) – The Standing Committee of the 14th National Assembly will convene its 15th session in Hanoi from October 11-13, with many important issues to be discussed, including preparations for the legislature’s fourth meeting in October. During the session, the committee will look into reports collecting opinions of voters and people nationwide to be submitted to the NA’s fourth meeting, and supervising the settlement of voters’ petitions sent to the third sitting. The lawmakers will also mull over outcomes of citizen reception, and the supervision of the settlement of citizens’ complaints and petitions to the NA in 2017. Apart from preparations for the fourth meeting, the committee is scheduled to discuss the plan to use Government bond capital of the Ca Pass tunnel project, and the North-South expressway project. They will scrutinise reports on the implementation of the socio-economic development plan and State budget in 2017, as well as the socio-economic development plan and State budget estimate and allocation plan for 2018.